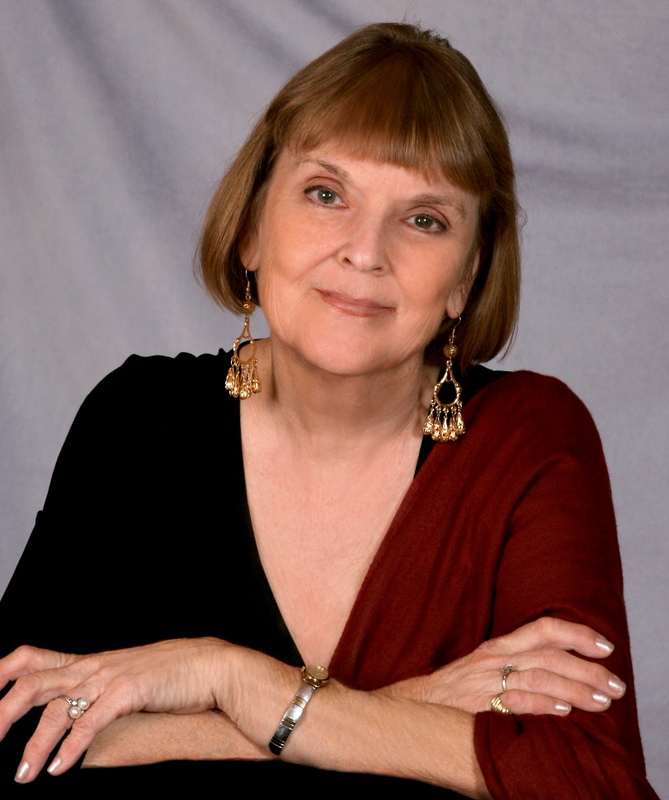 Author Mary Lynn Archibald is one of the treasures of our Redwood Writers community here in Sonoma County. She has been a volunteer at special events and teaches writing classes, especially memoir classes, throughout the county. Her story is really a romance, although she's shy when I suggest this. Couldn't you see a romance novel, starting with a couple answering an ad in a local newspaper, and finding their soul mates? Welcome her and her incredible tale. I hope you enjoy this as much as I did. “You can’t always get what you want.” —Mick Jagger “Mick was right about one thing. But, as we discovered by doing way too many things the hard way, you can get what you need. Eventually. What we needed, Carl and I, were like so many other things in our relationship: two vastly different things; yet our twelve-year experiment in country living brought us closer in unexpected, almost magical ways that we were only able to appreciate long after our rural adventure had ended.” So begins Accidental Cowgirl: Six Cows, No Horse and No Clue, a love story, though not the usual kind. This one found my husband and I in the midst of a cattle-ranching business we knew nothing about, when all we’d really wanted was a peaceful, country retreat. “We had met, Carl and I, through a newspaper ad in the spring of 1984. He was trim, dark-haired and jauntily mustached. His ad in the Santa Rosa Press Democrat read as follows: COMPLEX SWM, 47, passes for 39, going on 18, handsome, ex comm’l banker, clergyman, dream analyst, now building own home. Listens to blues, gardens, backpacks, stops for garage sales, writes poetry, reads Countryside (magazine). Immersed in Jungian psych., strong spiritual side but no kook. Well educ. and traveled. Full of exper., innocence, wonderment, entrepreneurial, romantic, down to earth, whimsical, shy, outgoing, playfully comepetitive, great companion, friend, confidante. SF, please have similar qualities and hammer. To which I replied (I think): I am a tall, willowy green-eyed blonde who owns a hammer. Interested? Call this number…and so on. (I actually have hazel eyes, but I thought green sounded better. The rest was true, except for the fact that I’d never heard of Countryside magazine. He’s never let me forget it. )” We also found ourselves hopelessly in love with cows. Ours were Polled Herefords, which as any cowpoke will tell you, have the sweetest personalities of any bovine—hence their names: Big Mama and Baby, Peaches and Paco and Pansy, and so on. We had over thirty in no time—we couldn’t bear to part with them. Since they were beef cattle, this was not a very lucrative plan. I wrote this memoir because, once our backwoods escapade was over, I realized that if I didn’t describe it in all of its funny, sad, agonizing and poignant detail, nobody would believe it. We could hardly believe it ourselves. I kept a journal for our entire twelve-year sojourn, and took many photographs of our other love, the luscious land: ponds, streams, huge rocks, woods, bogs and meadows—even two big waterfalls. As I reread my notes, I realized that our story was something we needed to share with other country dreamers. It took me five years to get it done, and from the feedback I’ve received since the book was published, I know there are lots of others out there who long to get back to the land. Just be warned: the “simple life” isn’t quite as simple as it seems! 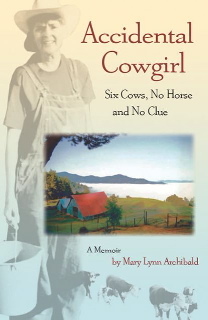 ••• Mary Lynn Archibald a freelance editor and copywriter and author of two books: Briarhopper: A History, a memoir of one woman’s life from 1913-1945, and Accidental Cowgirl: Six Cows, No Horse and No Clue, a lighthearted memoir of a greenhorn’s life on a small cattle ranch. Her next book, (working title, Showoff: From Soquel to the Summer of Love), is a memoir that expands from her early life on a chicken ranch in Soquel, California, to San Francisco in the ‘50s and ‘60s, and her varied careers as switchboard operator, model, sales clerk, chorus girl and Miss San Francisco wannabe. It is due out in the summer of 2012. How interesting! I plan to read this – thank you! Julia, you will love her. I know her from Redwood Writers and I've loved her story from the first I heard it. Your daughter might like it too. A lovely story so why haven't I bought and read it? I'll soon correct that mistake! Thanks to both of you for the reminder! Will be back in touch then, if there are any questions I can answer. I agree completely. Her story is very touching. Can't wait to read her next one. I'm online as of today. Sure missed being wired!